I know it’s stupid to say, but I have to: They don’t make action-movies like they used to. There you go! When his father and mother dies in a car bomb explosion, Slaughter has to get revenge. He teams up with the Feds and goes after a bunch of Italian mobs hiding in Mexico. Now, here’s one fast-paced bullet of a movie. There’s action and mayhem from start to finnish. 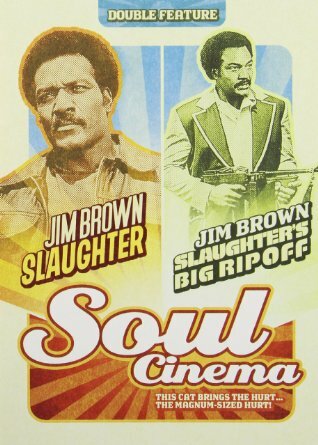 And the black sexbomb, Jim Brown is the perfect actor for the role. There’s enough brutal fighting, sweaty love-making and bloody deceit to make Kadhaffi’s old regime look like a romantic comedy. Recommended blaxploitation!